For years Madonna's New York City neighbors were miffed about the frequent noise that emanates from the entertainer's sprawling multi-unit Upper West Side apartment during her sometimes hours-long singing and dancing rehearsals. To her credit Madonna reportedly made some sound proofing efforts in 2009 but alas, they were not successful enough and her Harperley Hall neighbor Karen George filed a lawsuit against Madonna and, as a matter of course, the board of the co-operative apartment house. Natch, Madge and her army of high-paid lawyers attempted to get the lawsuit tossed out but, according to the New York Law Journal (via Huffington Post), a judge recently decided the suit was worthy of a trial. Imagine that, children? We're not talking mediation but an actual trial for which actual working people will have to take time off from their jobs to decide if Madonna's at-home singing and dancing was sufficiently loud to be legitimately disruptive to her neighbors. Whatever the result, if Madge hasn't already packed her Kabbalah strings and dumbbells and decamped Harperley Hall, its expected she soon will. 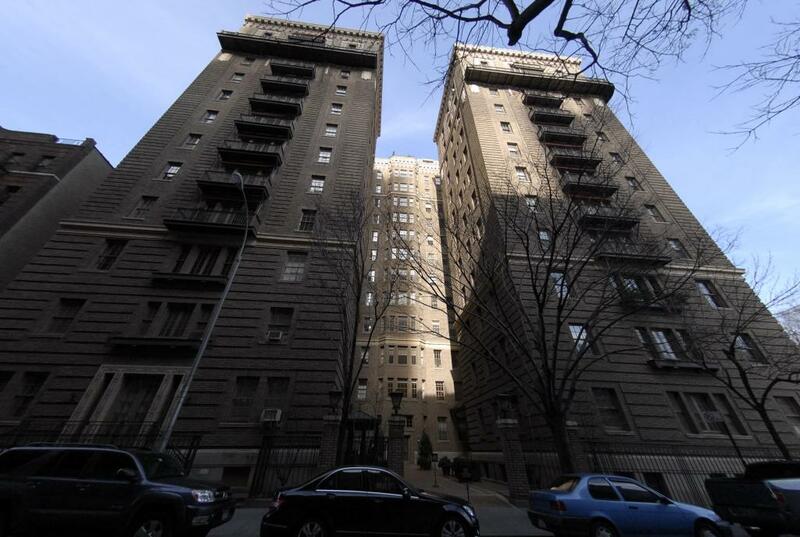 In the spring of 2009 the middle-aged pop superstar paid a hefty $32,500,000 for a titanic triple wide townhouse on East 81st Street that she's spent the last couple years expanding and renovating. Oh remember when we all loved Madge? Before her faux english accent and divorcing Guy (lucky guy) and dissing fans gifts to her and dating ninth graders?? Perhaps she may be the new Leona Helmsley after the trials outcome? This is how the courts are using scarce resources? Why hasn't Madge moved into her new digs yet anyway? Aaah, the problems of the super rich. I surmise that at one point in her life she was pretty nice and pretty normal. One of my good friend's grandmother lives next to her recently deceased grandmother forever and a day now and they were friends and I met her grandmother several times and she was a very nice, very normal sweet old lady. I always respected that she never moved away and to some monster house. All the money and fame and she just seems so bitter and miserable. Really sad. That's the main reason she left Central Park West for East Upper Side. And yes, she already moved to her townhouse since last May !! Who and what the hell are you talking about? Even though my first question is Who The F is Karen George? Come on Madge! No one, and I mean NO ONE likes being subjected to the thumping of a woofer sieving it's way like the Blob through the cracks and crevices of a building older than Methuselah! Go rent a studio somewhere and pump some of your hard earned cabbage back into the NYC economy! And apologize to that poor kid that gave you the Martha Stewart flowers! The story I heard was that Ms. Thing (aka Karen George) didn't like Madonna at all and jumped at the opportunity to see her neighbor out of the building asap. I might be inclined to believe Ms.Thing if the suit was Harperly Hall v Cicconi. If the noise was that bad for this one particular resident (one very wealthy resident), why didn't she hire a nice gay contractor to come over and install sound-proofing material? And to be fair, why didn't Madonna BUY a rehearsal space nearby? Is reading so hard for you to do? Christ, I swear Americans get dumber and dumber everyday. I had a condo soundproofed, and while it wasn't cheap, I'm pretty sure it didn't cost near as much as the work Madge contracted for hers. If it's done correctly, it will work to the satisfaction of all neighbors. I tend to agree with hippie canyon that this has more to do with uppity sour grapes than any residual noise Madge may be making. I admire and respect Madonna. She deserves her triple-wide - more power to her. Madonna: Don't get any more botox on your face or face lifts...you are pretty as you are. Your face is starting to look too wide. Looking forward to your new CD! You need to write a song for yourself that is your "Stairway To Heaven."